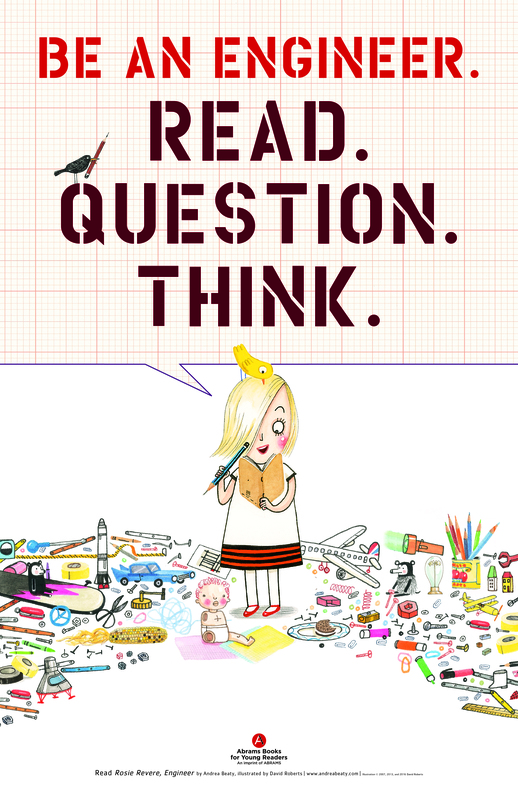 Five downloadable posters featuring beloved Mighty Girl characters Rosie Revere and Ada Twist celebrating science, reading, and critical thinking! 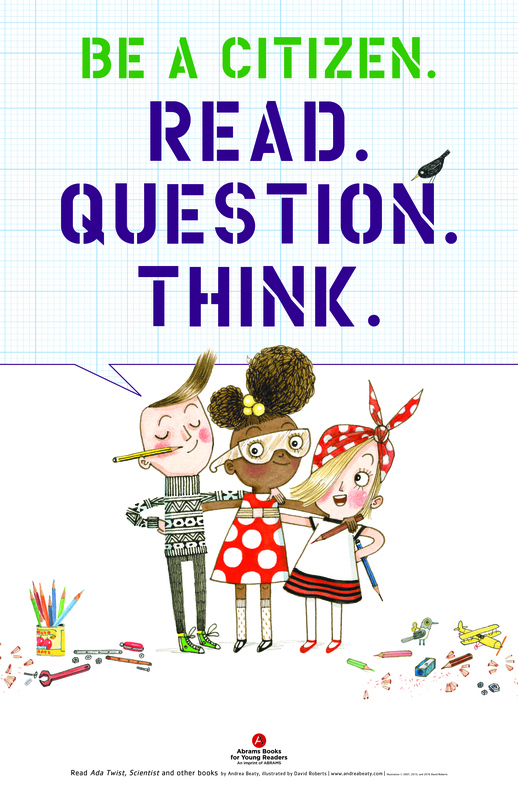 Author Andrea Beaty has created a series of free downloadable 11" x 17" posters featuring characters from her bestselling series of books, which celebrate science, reading, and critical thinking! 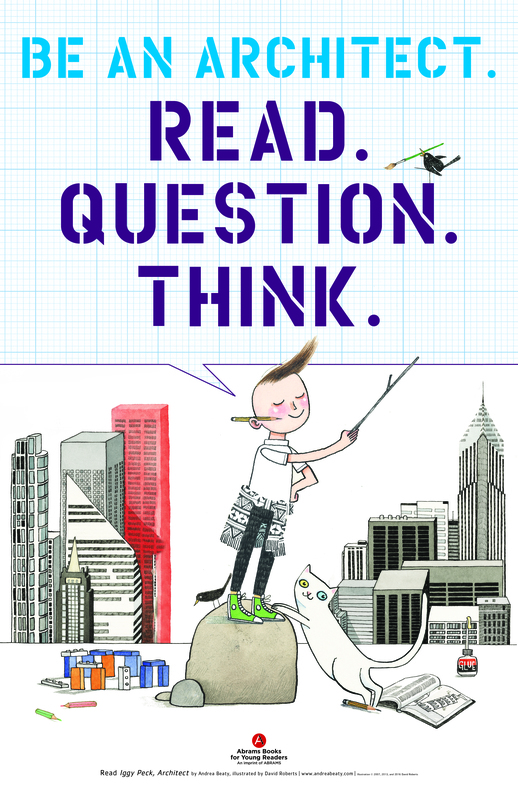 These posters were created in support of the March for Science, and encourage kids to remember that all citizens -- astronauts, engineers, and architects, but also each and every one of us -- need to be informed and think critically to create a better world for all of us. 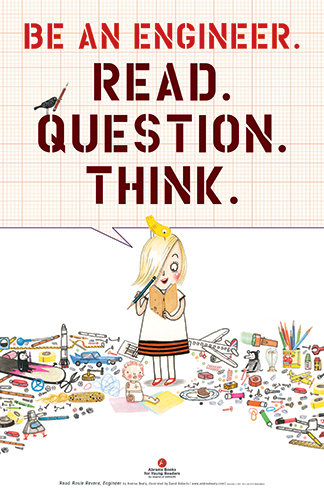 Beaty is the author of two beloved books starring Mighty Girls in science, Rosie Revere, Engineer and Ada Twist, Scientist. 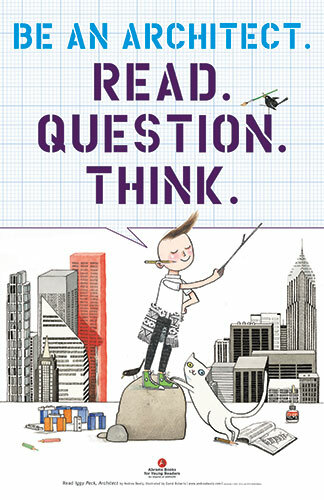 She's also the creator of Rosie Revere's Big Project Book for Bold Engineers, a hands-on activity book which helps kids put engineering concepts to the test. 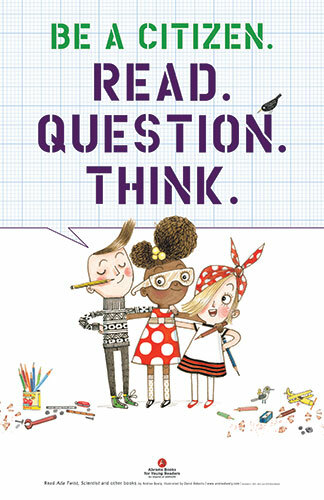 She and illustrator David Roberts used Rosie and Ada, as well as Iggy from their book Iggy Peck, Architect, to highlight the importance of reading, education, and scientific literacy. Whether you're decorating your classroom or looking for inspiring wall art for your Mighty Girl's playroom, home lab, or bedroom, these posters provide an excellent reminder that every human's most powerful tool is their brain! To download any of the posters below, click the image or the "download poster" link. For books for children and teens about trailblazing women in science and engineering, check out our blog post 50 Books to Inspire Science-Loving Mighty Girls. 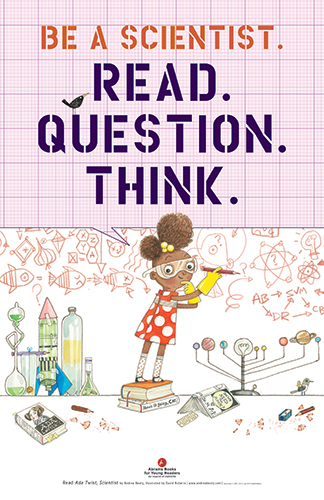 For our top picks of science toys and games, visit our blog post Top 50 Science Toys for Mighty Girls. 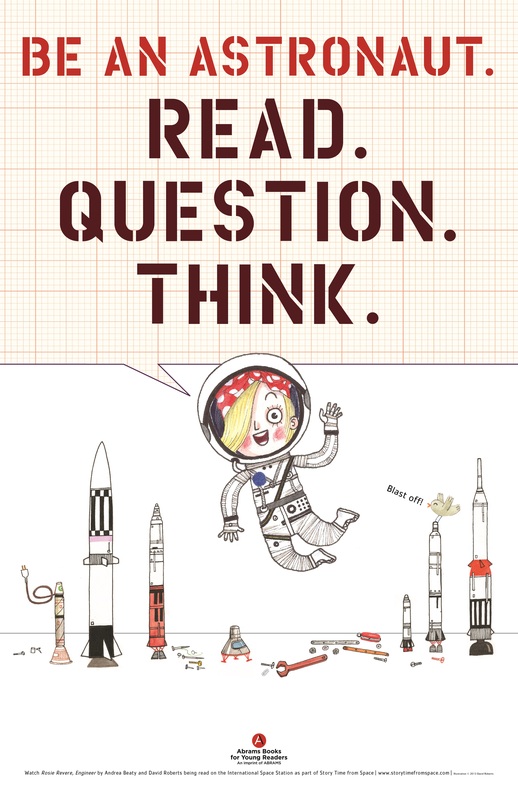 For a collection of free downloadable posters featuring real-life women in science, visit our blog post Free Posters Celebrating Mighty Women in Science.